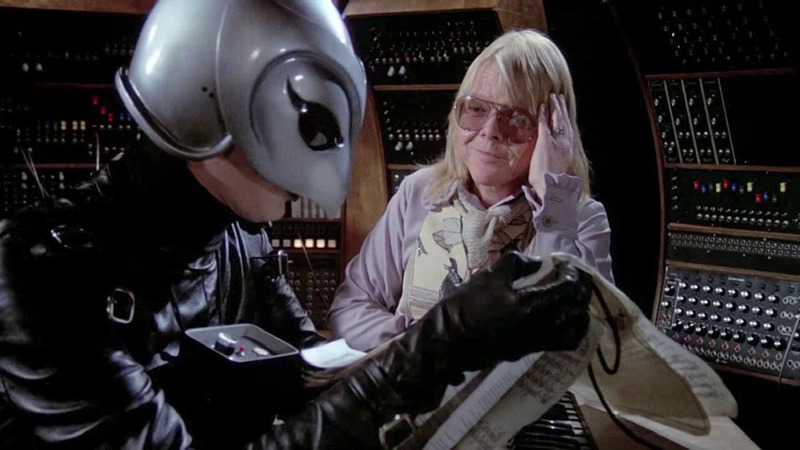 Phantom of the Paradise didn’t just adapt The Phantom of the Opera. Writer and director Brian De Palma was inspired by hearing a Muzak cover of a Beatles song in an elevator and wondered what it was like for the original artist. 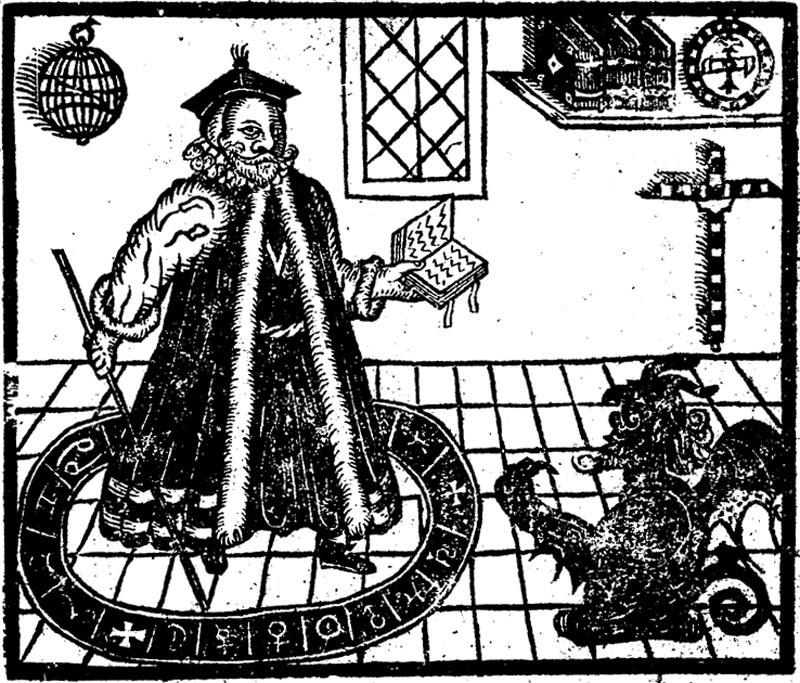 From there, he went to the German legend of Faust, a story that has also been adapted often since Christopher Marlowe’s The Tragic History of Doctor Faustus in the very early 1600s. Let’s sum up both stories. 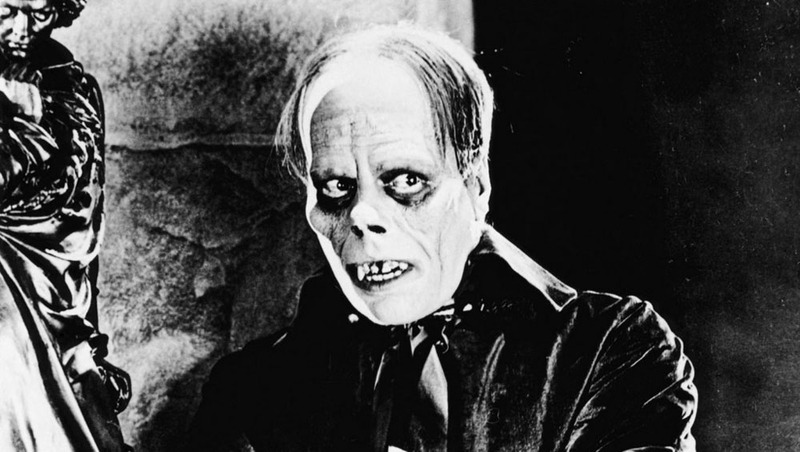 The Phantom of the Opera is less about selling one’s soul and more about obsessive love. The Paris Opera House is home to the story about the dangers of obsession and show business. Lurking within the bowels of the Opera House is the near-urban legend Phantom. The Phantom, very much real, hears a singer, Christine Daaé, and falls in love** with her. Christine, though, loves another, Raoul. The Opera House next production is a operatic version of Faust. Christine, however, does not get the lead role. Instead, La Carlotta, a prima donna in both senses of the term, gets the part, upsetting the Phantom, who has taught Christine how to sing. The Phantom insists that Christine marry him, for no one else may have her. Christine tells Raoul about the Phantom, but the scoundrel overhears and kidnaps Raoul and threatens to destroy the Opera House. It is only through Christine’s pity and empathy for the Phantom that she and Raoul are able to escape and prevent the explosion of the theatre. 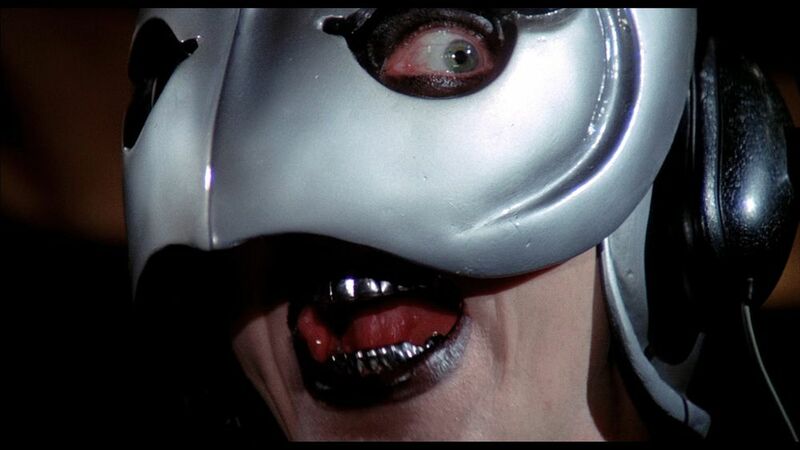 Phantom of the Paradise takes both tales. 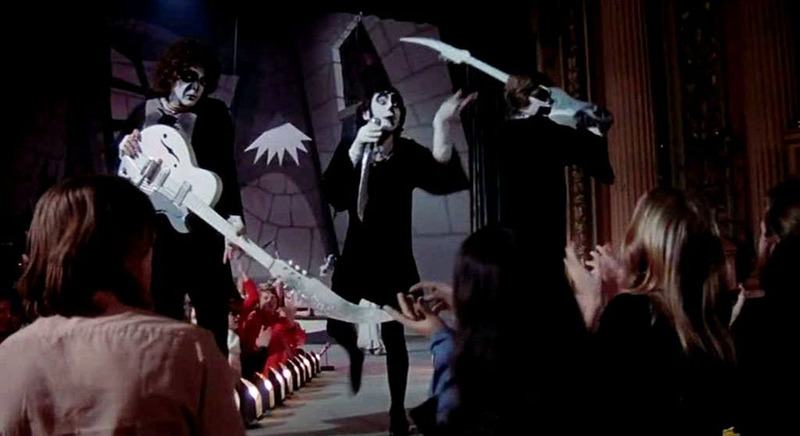 The opening of the movie has a good summary of what it’s about; “This film is the story of that search, of that sound, of the man who made it, the girl who sang it, and the monster who stole it.” The three main characters are Swan, played by Paul Williams, Winslow Leach/the Phantom, played by William Finley, and Phoenix, played by Jessica Harper. Williams also wrote the music for the movie. Winslow is a budding young songwriter hoping for his big break by following the band, the Juicy Fruits. Swan, owner of Death Records, is looking for a new act to christen his soon-to-open cathedral to rock, the Paradise and hears Winslow’s work, “Faust”. Swan, though, wants an ingénue, someone he can guide personally, not a songwriter who does his own work. Swan isn’t one to have terms dictated to; he does the dictating. Winslow’s “Faust” is exactly what he needs for the Paradise, so Swan acquires the song without letting Winslow know. Winslow susses out that something’s up and goes to Swan’s mansion, where there is a lineup of women who want to be Swan’s next big hit. One, Phoenix, is singing “Faust”. Winslow is impressed, and is willing to allow her and just her to sing his work. Still, “Faust” is his, not Swan’s, so he tries to get in to see the elusive artist. Swan, though, arranges for Winslow to be arrested, tried, and sentenced to get him out of the way. Swan breaks the deal soon enough. 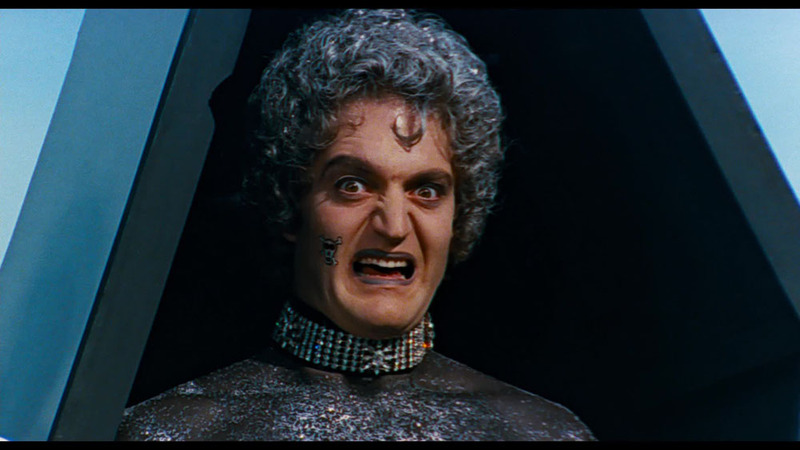 He replaces Phoenix with his newest act, Beef, played by Garrit Graham. Beef. a glam rocker, doesn’t have the range Phoenix does. The Phantom discovers the duplicity as Swan’s people brick up Winslow’s recording studio. Winslow breaks out, his desire for vengeance. Beef is the first to discover the Phantom on the loose. He hears the Phantom’s anguish. Worse, the Phantom shows up while Beef is taking a shower and threatens him, Swan, and the Paradise if Phoenix is not given “Faust”. Beef tries to flee, but is forced to stay. Phantom of the Paradise opened to decent numbers in Los Angeles, but flopped everywhere else except Winnipeg, Manitoba. The film remained in theatres in Winnipeg for four months straight, then made regular returns for over a year. The soundtrack went double gold in Winnipeg alone; a gold record in Canada at the time represented 10 000 sales. Winnipeg’s population in 1976 was over 560 000. In 2005, the fan-organized Phantompalooza was held in the theatre where the movie first opened, getting Gerrit Graham (Beef) and William Finley (the Phantom) out for it. 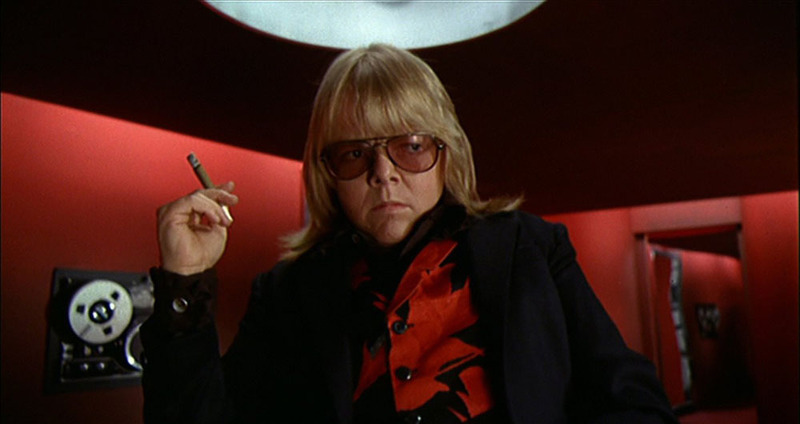 The following year, Phantompalooza had as many surviving cast members invited as the organizers could find and had Paul Williams in for a concert. Phantom took a huge risk, adapting both the legend of Faust and The Phantom of the Opera and turning them into a rock opera. As an adaptation, it melds both well. It’s a matter of taste on whether the movie is successful. Its biggest drawback is that it is not clearly of any one genre. At the start, I called the movie a rock opera horror comedy, the sort of movie that leads to becoming a cult hit. The result, an ambitious, very 70s film that treats its origins and inspirations with respect underneath the outrageous costumes.